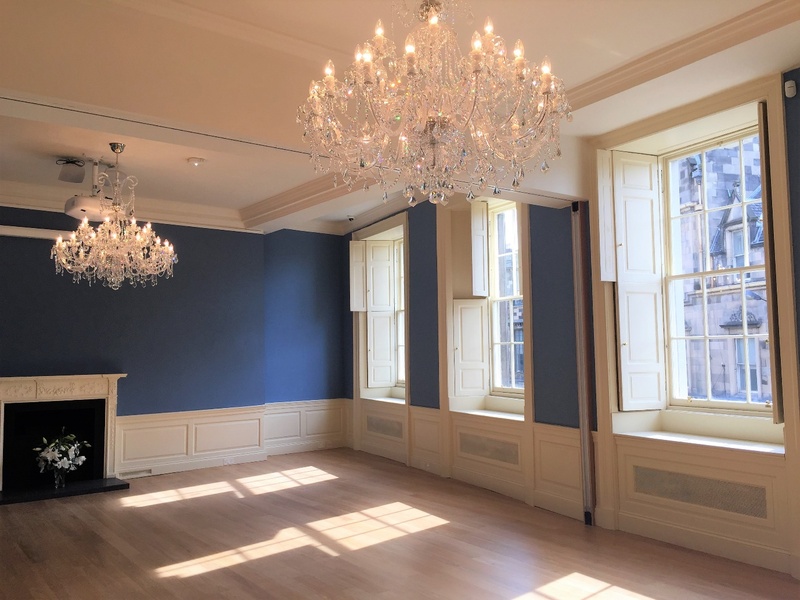 Scottish Historic Buildings Trust is relaunching Riddle’s Court, a c16th merchant house, at the top of the Lawnmarket as a unique venue for Conferences and Meetings, following a 2 year £6 million refurbishment. The building was officially opened by Prince Charles on Friday Sept 8th. The renovations have created a medium sized historic and bright space – the Patrick Geddes Room – which can accommodate up to 40 people pictured here as a generously laid out boardroom, a lovely airy 100 seater conference room (see below), ) and a small room that can accommodate 12, all with WiFi, break out facilities, access to a first class café, and facilities for a bar. For guests we can also offer the Kings Chamber in the north block of Riddle’s Court as an overnight stay. 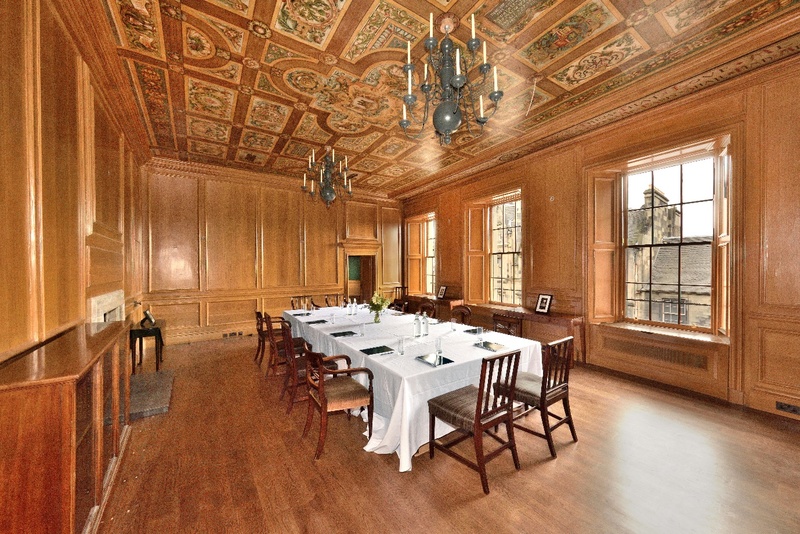 Located in the heart of Edinburgh’s old town, this historic old merchant house offers a remarkable tranquil venue in the city centre with its secret courtyards, attentive staff, quality catering and provides easy access to Waverley Rail Station, Princes Street, The Royal Mile, and other local attractions. 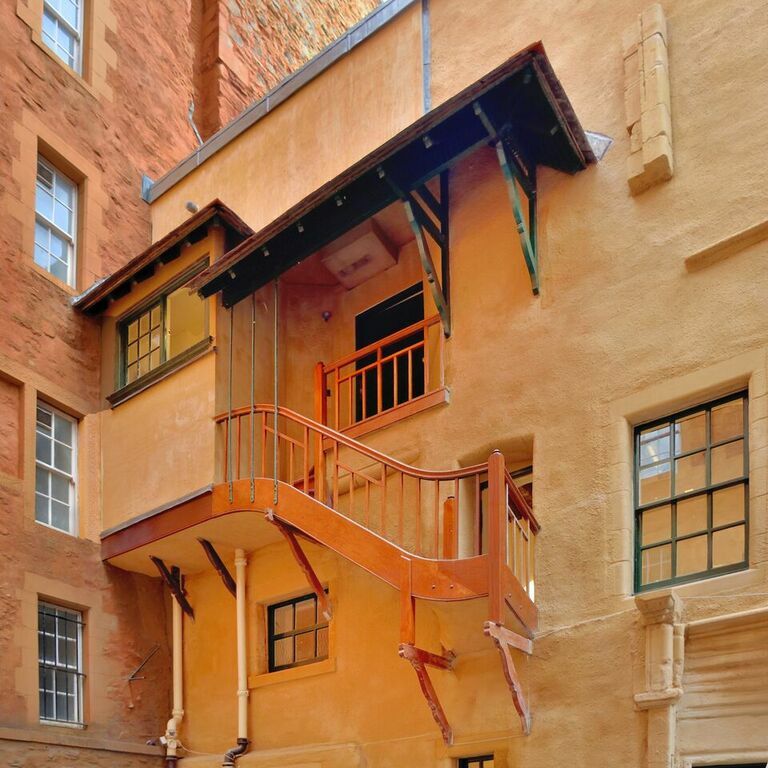 “We are looking forward to welcoming clients new and old to Riddles Court as I am sure they will be enthralled by restoration of the buildings historic features whilst appreciating its new modern facilities and unique touches, such as multi coloured lighting, and entirely class lift system. All in all, Riddle’s Court offers excellent value-for-money for those who want a central, affordable Conference or meeting venue offering a unique historical setting. For more information on facilities at Riddles Court accommodation options take a look on meetingedinburgh.